Katie Seyfang and her brother, Wes Seyfang, are pictured at the Regional track meet at Athens High School May 26, 2017. 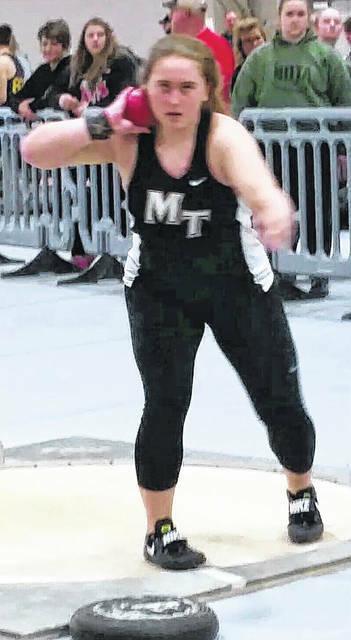 Katie Seyfang competing during the 2018 indoor track and field season. 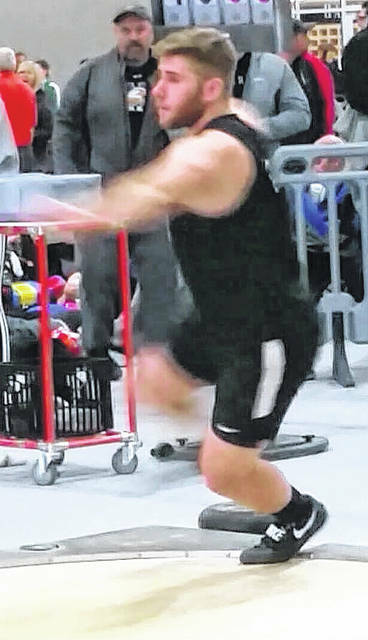 Wes Seyfang competing in the shot put during the current indoor track and field season. 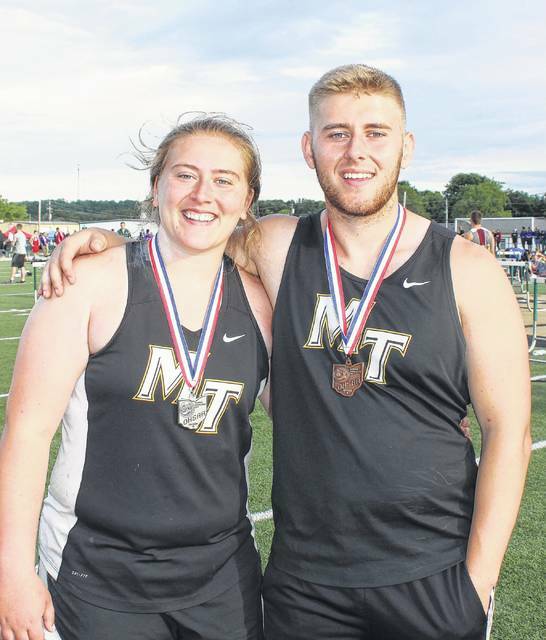 Miami Trace High School seniors Katie and Wes Seyfang have been working very hard this winter, pursuing their track and field passions of throwing. The Seyfang siblings will be competing Saturday at the State Indoor championships at the Spire Institute in Geneva, Ohio, which is located some 45 miles east of Cleveland. At the State outdoor track meet in Columbus in 2017, Katie placed sixth in the discus throw (130’ 0”) and sixth in the shot put with a best throw of 39’ 8 3/4”. Katie is currently ranked No. 2 in the state (Divisions II and III combined) in the weight throw (which takes the place of the discus throw indoors) and third in the shot put. Wes is currently ranked fifth in the state in both throwing events. For Katie, her best weight throw of the indoor season is 46’ 10” and in the shot put, it’s 41’ 7”. Wes’ best weight throw is 55’ and for the shot, he’s thrown a 49’ 10”.